So, along with an amazing birthday cake, one of my readers, StarCraft clan bud and friend Gerardo Siordia, bought me a game as a birthday gift (your deeds will always be remembered). He kindly looked into my Steam Wishlist and picked a game. A noble man he is. I was away from my computer last weekend (...a horrible, horrible thing...) but now that I'm back I decided to give myself some time to play some awesome games and share them with you guys! 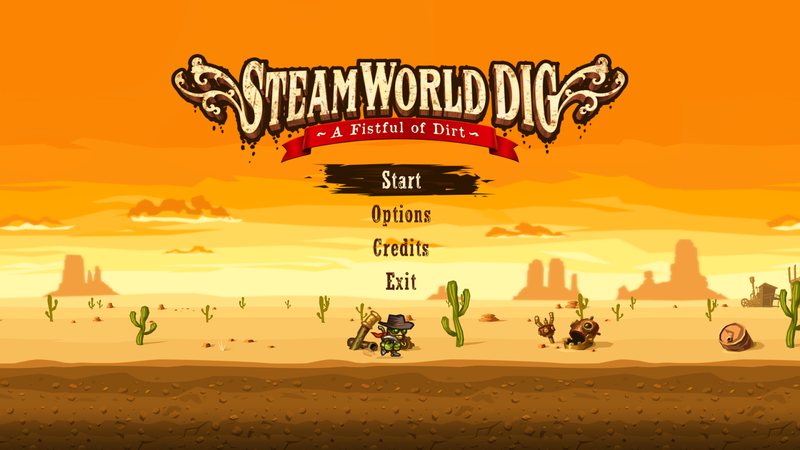 I had seen the art of Steamworld Dig before and it immediately caught my eye. It's a platformer that nails the addictive formula. The art is attractive, the gameplay is simple but challenging enough for you to build a healthy amount of frustration. 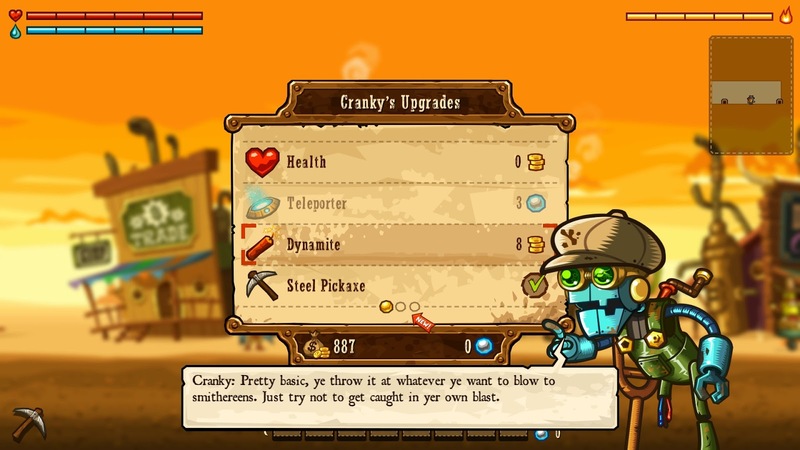 You play as the cowboy looking, steam punk style, robot badass Rusty, who arrives at an old mining town in perill. It is up to you to discover what lies beyond the ladder. 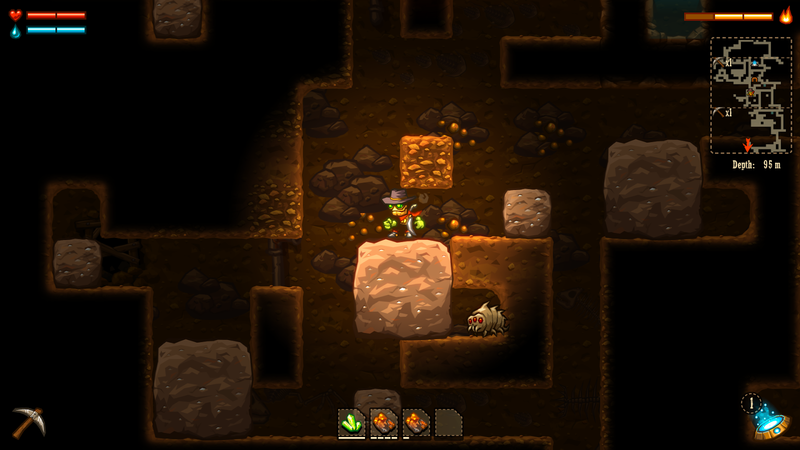 The massive ant farm like, digging dungeon can be shaped by the player's pike (and greed). This gives a sense of building your own adventure as you go. You'll be able to acquire a variety of tools that will help you shape your surroundings, but most importantly, gain you access to the loot! 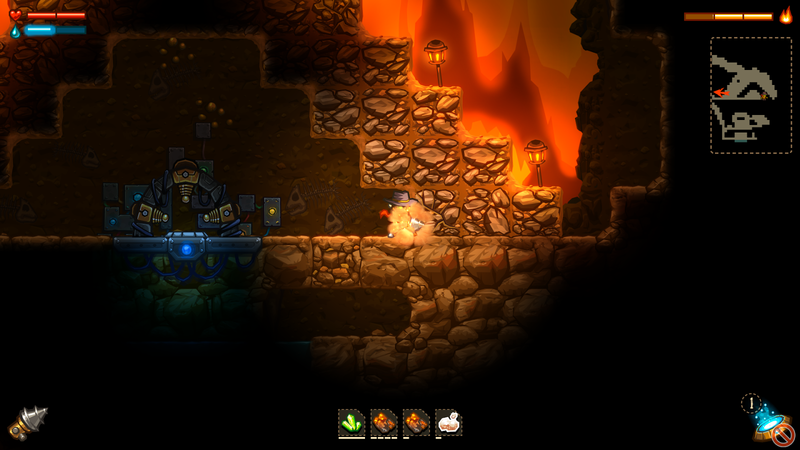 There is lots to explore and gather so you'll have plenty of game hours to fill in. Combat action is sometimes tricky in terms of timing but mastery of it is achievable. 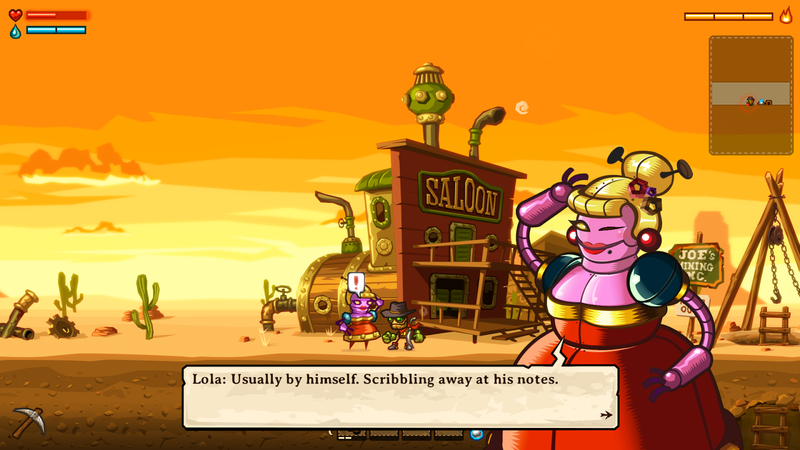 There are a variety of bizarre minions to face along the way and also, charming characters to meet. The title is definitely worth a shot if you have a few dollars to spare and it is a must among your collection if you happen to be a platformer junkie. This awesome game was developed by the talented people of Image & Form Games so go share some love with them and enjoy playing! Sounds like a fine game !